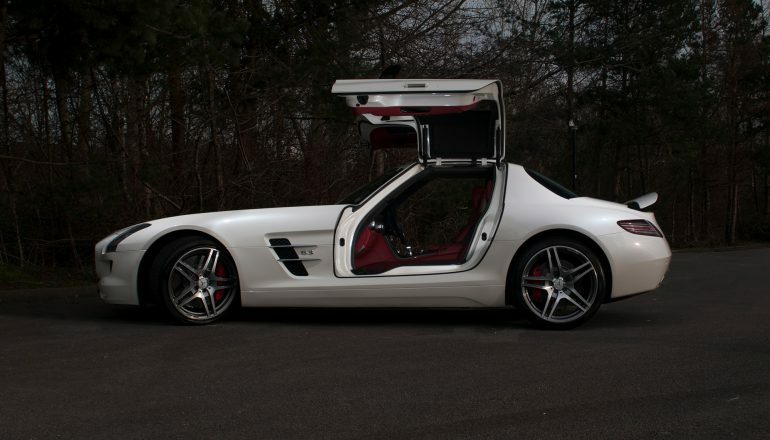 This Mercedes is spectacular even before you open the distinctive Gullwing doors. 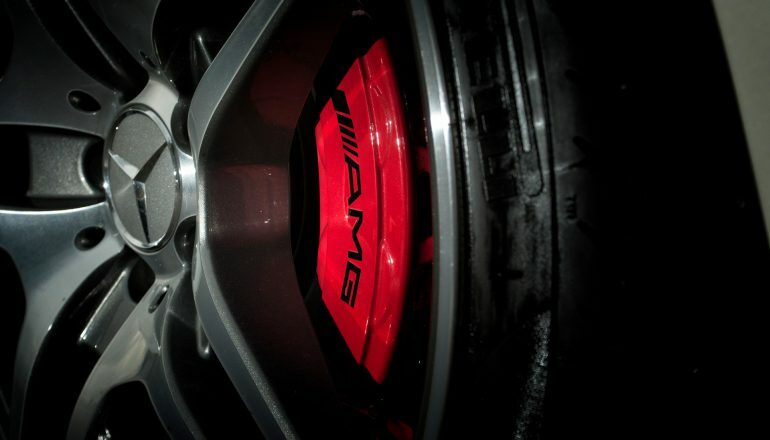 The Mercedes SLS AMG Gullwing was the first Supercar to be built by the AMG team from top to bottom. 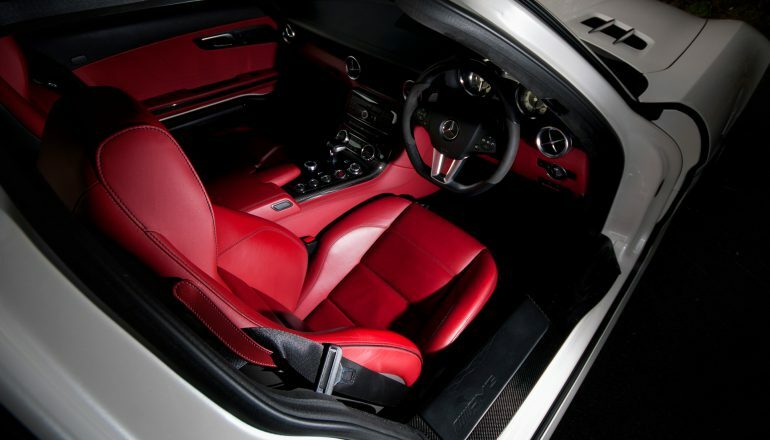 It is a Supercar that’s designed to be impressive – its hand-built V8 6.3 litre engine purrs and provides fast acceleration. The Gullwing doors are a sight to behold – note they do not close automatically, but a certain sense of occasion is afforded by closing these special doors and finding yourself encased in the beautiful interior of the Mercedes. 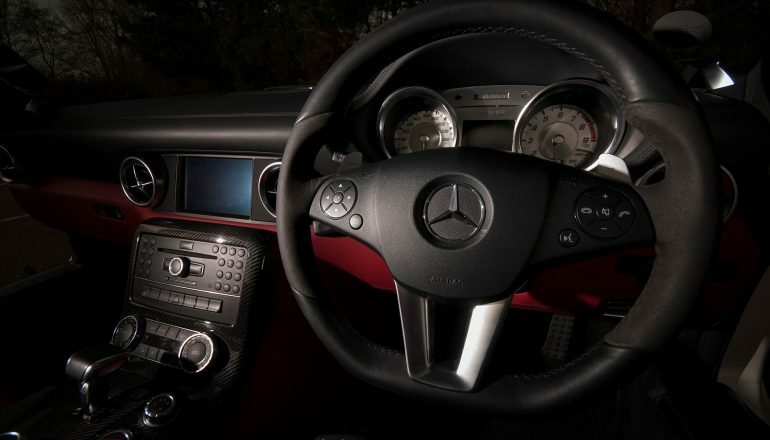 When you hire this Mercedes, you’ll enjoy a comfortable and easy ride in a sophisticated yet powerful Supercar. 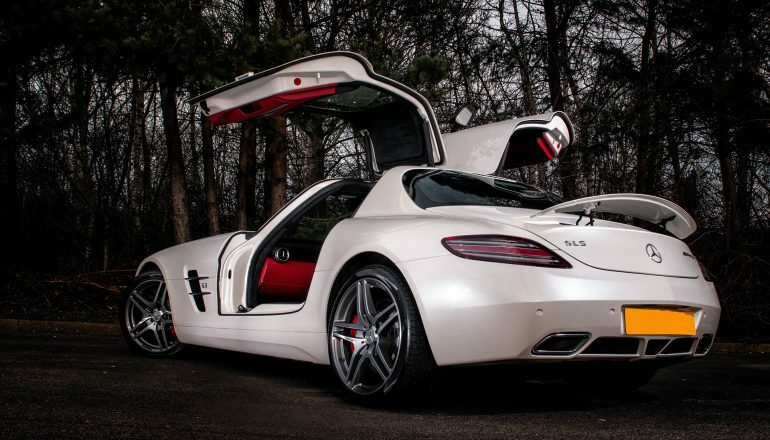 Hire a Mercedes SLS AMG Gullwing from Northern Supercar Hire - call 01244 434 455 or email info@northernsupercarhire.com today for your tailor-made quotation. "We considered you very professional on the day while still being friendly and attentive. This was my first (hopefully not my last) super car experience and it was blinding."